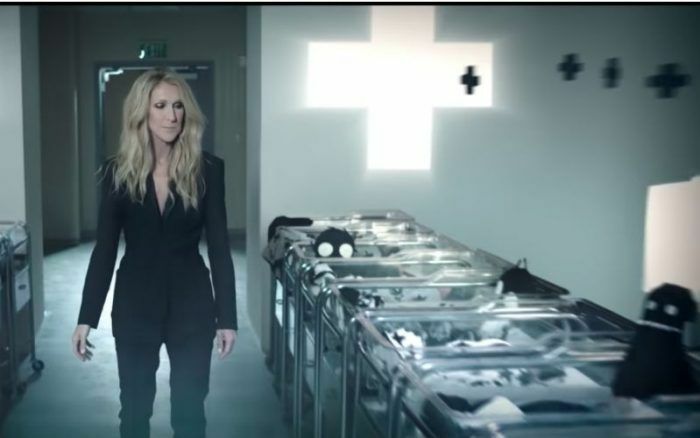 Celine Dion invades a nursery to eradicate gender in a commercial for her new unisex children’s clothing line. Author's Note: I penned the following article fifteen years ago, at a time when I thought the war on our kids couldn’t get much worse. I was wrong. It's not only gotten much worse, but it's morphed into overtly satanic total war-- unrestricted in terms of the psychological weapons used, the age of the combatants involved, and the anti-God objectives pursued. 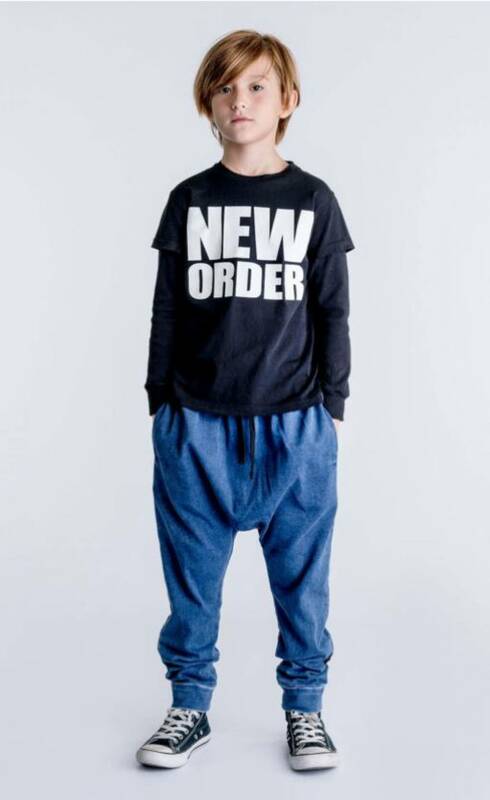 Case in point: The sometimes terrifying and always weird singer and cultural icon, Celine Dion, is showing up everywhere in MSM these days, promoting her new line of genderless children’s clothing that brings the war on kids to a whole new level. Those fortunate enough to make it past the abortuary are evidently to be brainwashed from cradle to grave -- quite literally -- by an anti-God, anti-family, anti-gender propaganda campaign worthy of Joseph Goebbels (Nazi Minister of Propaganda from 1933 to 1945). Thanks to the unceasing efforts of the entertainment industry, children are being imbued with ideas and attitudes that run directly contrary to a Christian—and thus ordered—way of life. Why? Partially, of course, because the industry has products to sell, programs to broadcast, and money to make. But also, and perhaps here’s where the Luciferian talons become more visible, because our brave new world seems to have reached a level of moral degeneracy where the existence of innocence of any sort, even that seen in the eyes of a child, has become a threat because it is such a powerful reminder of what we as a civilization have lost. Innocence, then, must be quickly disposed of lest it survive long enough to demonstrate to a world awash in sin and misery that true happiness is still borne out of innocence. The sooner children can be dispossessed of good manners, then, the easier it is to develop patterns of boorish behavior that makes the practice of virtue impossible. The sooner virgins can be induced to throw off their virginity, the less chance for the world to notice how quickly promiscuity gives way to sadness and desolation, which is why purity comes under attack so mercilessly by the entertainment industry. Even perverse “professional” parenting advice such as this, however, doesn’t represent Sesame Street’s biggest threat. What’s more serious than this is the ideological indoctrination of children that’s gone on for decades on good ol’ Sesame Street. The rainbow of diversity and the We Are The World-mentality…now that’s Sesame Street! Idolizing self-esteem, questioning the existence of objective truth and celebrating “tolerance” is what Sesame Street has been packaging up for kids inside fuzzy animals and loveable birds for years. There is any number of ways to illustrate this, but I’ll cite just one. Is it really a stretch, then, to suggest that such kiddy propaganda does in fact enjoy wide-scale success in accomplishing what it’s designed to accomplish—conditioning children to willingly embrace the religious indifferentism, moral liberation, pantheistic environmentalism and everything else anti-Christian that is ultimately shoved in their little faces? After all, if this indoctrination of children didn’t work, why do you suppose multimillion dollar entertainment companies like PBS and Disney would go to all the trouble? In the past, learning to distinguish right from wrong, as well as all the rules of polite, considerate and mannerly behavior, took up most of a child’s time during his impressionable years. Teaching children to dress modestly and practice the little virtues of childhood was the spiritual meat and potatoes served up daily by Christian parents. And for children who were formed in this way, demonstrating proficiency in all these areas of proper behavior constituted the hundred little rights of passage that made young adults out of toddlers, and Catholic men and women out of teenagers. But all of this is gone now. From the cradle onward, children today are exposed to a constant barrage of noise and electronic propaganda which encourages boorish behavior, “independent thinking”, sassiness, disrespect and an insatiable thirst to be entertained at all times. But entertainment has been transformed into a kind of contra-Christian machine that blasts away the old taboos against doing whatever feels good. After all, “restraint” of any kind leads to “repressed feelings”, something which, for the progressivist thinker, is evil. Modern entertainment for toddlers certainly is educational! Using birds and elephants for spokesmen, it teaches toddlers that truth is relative and that no opinions are wrong except the one which advocates for objective truth. In the end, even Barney knows that there is no truth. The teenage wasteland that is the youth culture today is not something that came about overnight or even over the course of a few years of grade-school education. It is the result of a careful process of programming, if you will, which began in the nursery, and which taught the modern child how to think in the modern way. This process is the mirror image of the classic Catholic method by which the virtues—rather than the vices—were nurtured from the moment water was poured at the Baptismal font. Catholic moral teaching advocated that parents not wait until a child had reached the age of reason to teach him how to behave with grace and dignity, much less how to save his soul. It was considered crucial that the process be initiated right away, even while the child was still in diapers, so that the habit of right thinking and good behavior could begin to be engrained from the outset. Why, then, should anyone be surprised when the Devil—the Ape of God—would employ the same techniques in teaching the modern child, also before the age of reason, those concepts of disorder and egoism that are the bedrock of the vices and that will facilitate the eventual loss of the immortal soul? Oh, yes, I know—this kind of thinking is easily lampooned by the sarcastic critic who will mockingly ask: Are we now supposed to be afraid of Big Bird and Barney? Teletubbies is a celebration of children's play. In a world of technology, this series introduces young children—ages one and above—to the wonders and magic of high-tech in a safe and friendly way. Tinky Winky, Dipsy, Laa-Laa and Po are four technological babies who love each other very much and live happily together in their own world of childhood imagination. Each program features the Teletubbies in Teletubbyland, which hums with the play technology that supplies their every need. Teaching one-year-olds the “wonder and magic of high-tech”? Providing “play technology that supplies their every need”? This should turn parents’ blood cold in their veins. How can Mother Goose, the Lives of the Saints and the Brothers Grimm compete with such “signs and wonders” of the modern world distilled for the mind of the toddler? Consider how effortlessly the entertainment industry over the course of a few short years managed to remove from the bedroom walls of Catholic youngsters those images of noble role models such as St. Therese of the Child Jesus, St. Bernadette, and St. Agnes, and to replace them with the images of cultural decadence that range from babies with TV tummies for the tots to half-naked Pink, Shakira, and Britney Spears for the teenagers. Should we fear the power of the entertainment industry, even way down there on Sesame Street? You bet we should! For Catholic parents to overlook the Child Catchers is to invite disaster into the Catholic home. A young mind weaned on the smarmy, smart-alecky, attention-seeking antics of Barney, the Muppets, and the Ninja Turtles has already absorbed the pop culture’s egocentric preoccupation with self and personal gratification, a basic tenet of the creed of moral “liberation”. By the age of sixteen, that same child will see little value in old Catholic liturgies, Christian standards of modesty, the virtues of humility and meekness, and the rest of what it means to be a follower of Christ. The mainstream entertainment industry is the work of the anti-Christians, and there is no part of it that belongs in the Catholic home anymore. One can attend Tridentine Masses every Sunday, one can go through all the rigors of homeschooling until he’s blue in the face, but if he dismisses the cultural threat posed by rock music, television, and Hollywood…he might as well save himself the trouble. Like the children of Hamelin, his kids will follow the Pied Piper out of the home, out of the Church and be lost forever. When are we going to let our kids be kids, and keep them out of our screwed up agendas?